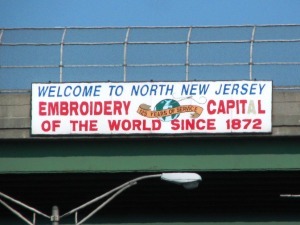 The sign hanging over Route 495 about two minutes outside the Lincoln Tunnel and five minutes from our facility says "Welcome to Northern New Jersey - Embroidery Capital of the World." Our New Jersey neighborhood has been the center of embroidery manufacturing since the late 1870's and for forty years we have been a proud part of that community. It certainly is not what it used to be but there is still a network of plants and factories that we are proud to be intimately and well connected to. Founded in 1971, we have a long history of innovation in the processing of rigid & stretch laces. Our affiliated companies produce a full line of knitted lace products, with state of the art dying, finishing and printing available to provide customers with the best possible quality finished goods. We take complete control over the scallop cutting, thread drawing & shipping, we take on an order and stay on top of it till completion. We pride ourselves on our ability to communicate the status of a customers order in any way that suits them, quickly and accurately. Copyright 2009 All Lace Processing. All rights reserved.